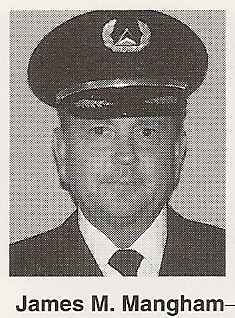 Captain Mangham hired on with Delta Air Lines 10-03-1966 and retired 03-01-1997, based 030/DFW. Captain Mangham was 74 years of age at the time of his passing. Services were held July 8th in Texas. We are saddened to hear the news concerning the passing of Capt James Mangham. Please note his spouse Doris' address below for sending condolences. Thank you. 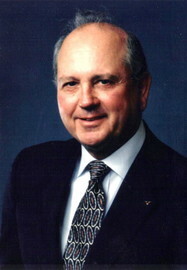 James Melton Mangham, retired airline pilot, age 74 of McKinney, Texas passed away June 30, 2013. He was born July 23, 1938 in Vivian, Louisiana to Curtis and Verna (Craver) Mangham. On May 30, 1969 he married Doris Jean Mead in Dallas, Texas. He was educated in the Shreveport, Louisiana public schools and Louisiana Tech University. After leaving college he entered the Marine Corp Navy Flight Training program and earned his commission in December of 1962. He flew the T34, T28, F9F Cougar. He later flew the F8U Crusader. He spent over a year in Vietnam. He left the service in 1966 with the rank of Captain to join Delta Airlines where he flew many different aircraft over his thirty-one years with them. He retired as a Captain of the Boeing 757/767 in 1997. After his retirement (to the golf course) he spent several happy years indulging this passion. He also enjoyed woodworking and restoring antique clocks. Jim amazed everyone in the way he lived his life after his cancer diagnosis. He lived his last days with courage, grace and dignity and of course his dry wit that entertained those around him. He is survived by his wife, Doris Mead Mangham of McKinney, Texas, daughter Kay Mangham of McKinney, Texas. Sisters, Diane Blake and Husband Jerry of Graham, Texas, Janice Thompson and husband, John of Keller, Texas, brother-in-law, Lawrence Morton and wife, Linda of Keithville, Louisiana. He was preceded in death by his son, James Stephen (Steve) Mangham; parents, Curtis and Verna Mangham and sister, LaReva Morton. Funeral services will be held at 11:00 a.m., Monday July 8, 2013 at St Peter’s Episcopal Church, 400 N. College Street, McKinney, Texas 75069 with Father Michael Hoffman officiating. 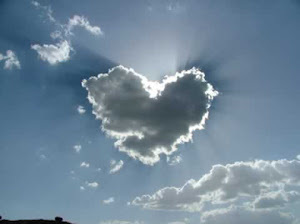 Pallbearers will be Richard Anderson, Kenneth Brown, Charles Scimeca, Larry Spencer, Richard Quinlan and Joe Younger.